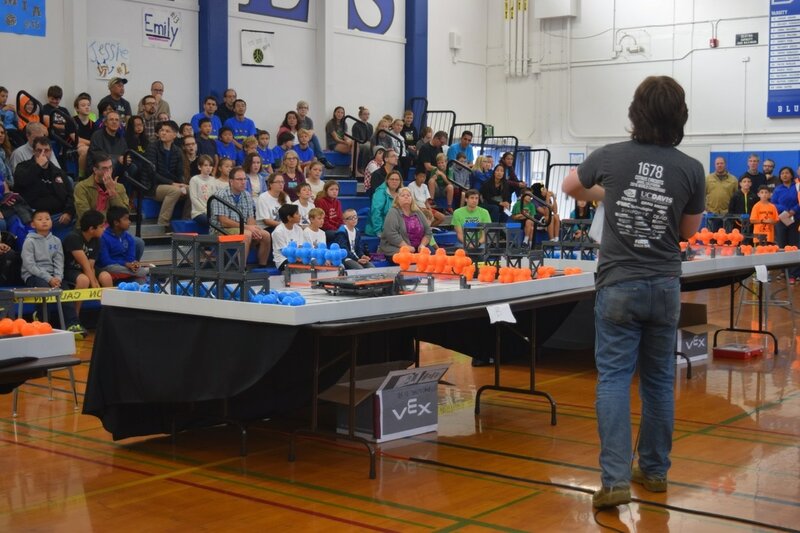 Organized by the Citrus Circuits Robotics Team, Davis Youth Robotics (DYR) organizes various robotics programs aimed at students ages 8 to 14. In DYR, students collaborate on teams to build robots which compete in given challenges. Students learn about science, math, programming and engineering​, as well as the values of sportsmanship and teamwork​. See below for a list of DYR programs currently offered. DYR RoboCamps consist of one week programs where students design, build, and code on a robot in small groups and compete in a mini competition at the end of the week. Along with beginner and advanced camps, we offer an advanced programming camp to allow students with past experience to further develop both their technical and interpersonal skills. Registration for the 2019 camps will open in February - see the DYR Mailing List sign up for more information. 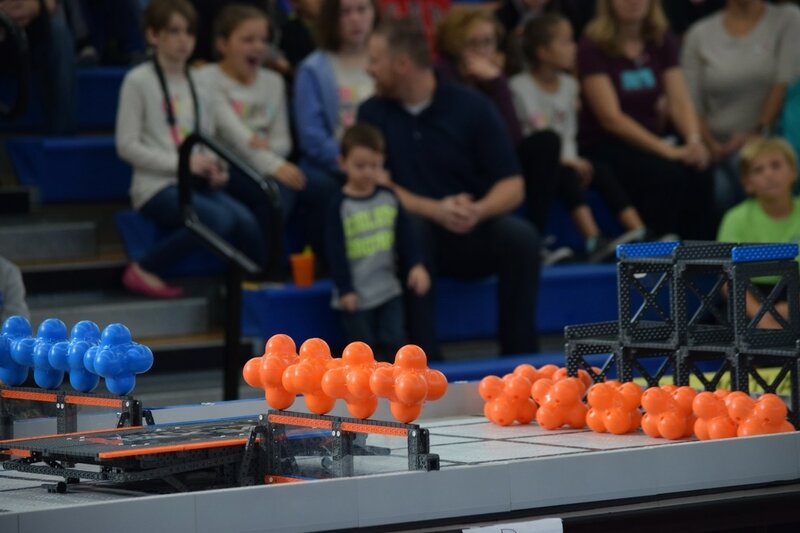 DYR League is a program aimed at engaging 4th through 8th grade students in competitive robotics. 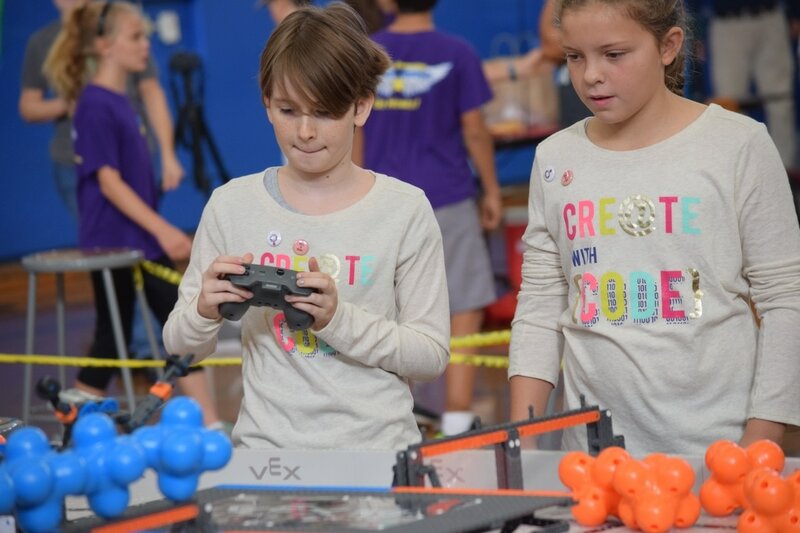 Through the DYR League, students learn skills like teamwork, programming, communication, and engineering and math all in a fun, collaborative, and after-school environment. Each DYR team is run by parent coaches, with technical and skill-based support from our trained High School Student Mentors. The school programs work school-year round, some after school and some as a class elective. The after school programs are run by teachers with help from Citrus Circuits student mentors; we have after school programs at DSIS, Patwin, North Davis, Montgomery, and Willett. Currently, there are three full classroom programs at Holmes, Harper, and Emerson Junior High. All school programs are invited to attend an end-of-the-year competition.